How can Russia still celebrate V-Day if it is a celebration of Stalin and his Satanic Bolshevik Jews, the biggest mass murderers in history? Was WW2 really just one big giant Satanic Jewish lie? 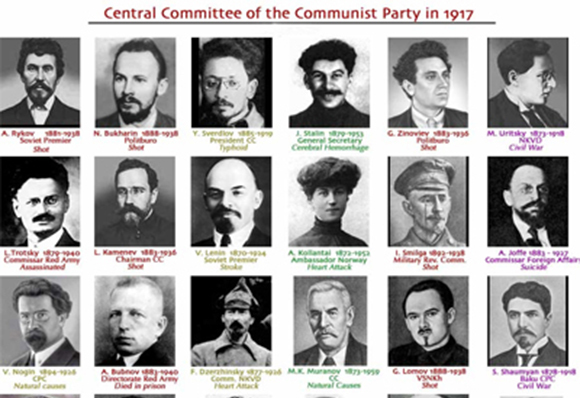 Jewish Communism killed millions upon millions of people. Occupied Russia (Soviet Union) lied about the Holocaust and even tried to make German work camps look like death camps after WW2. Stalin and his Satanic Bolshevik Jews killed an estimated 100 million mostly Christian people before WW2, then raped and killed and estimated 16 million innocent German children, women and men after WW2. I thought Russia was now a Christian country but if they are still celebrating what Stalin and his Satanic Bolshevik Jews did they are a Satanist country in my opinion. V-Day should be changed to Anti-Satanic-Jewish Communism Day! Jewish mass murdering Communist ghouls who have managed to land on their feet in the West, disguised as poor, persecuted “Survivors of the Holocaust” and feted as the saints and martyrs of the universe. Meanwhile the holocaust they perpetrated against millions of Christians slips further down the dark environs of Orwell’s memory hole. Perpetrators of the holocaust against Christian Russia transform themselves into "survivors" of "the Holocaust"The portraits to the right are of the same man but in two different incarnations. On the left we see Martin "Gray" in retirement after a successful career peddling fake antiques to gullible collectors. He is holding his mass market paperback,  For Those I Loved,  which is filled with his exploits as a saintly "Holocaust Survivor" who was supposedly forced to help clear bodies out of the Treblinka "gas chamber." The earlier portrait on the right is of the youthful Gray as a decorated officer in the Soviet NKVD (the forerunner of the KGB), responsible for the murder of millions of Christians and gentiles in Russia and Eastern Europe. Even Establishment researchers have had to admit that Gray's book is as phony as the antiques he peddled. But Gray's scam is symbolic of countless other Communist ghouls who have managed to land on their feet in the West, disguised as poor, persecuted "Survivors of the Holocaust" and feted as the saints and martyrs of the universe. Meanwhile the holocaust  they perpetrated  against millions of Christians slips further down the dark environs of Orwell's memory hole. Russia Is No Longer Occupied But The US Is, Does This Explain All The Zionist Wars And Mass Murder? A local politician from the party of Russian President Vladimir Putin has accused Jewish extremists of destroying Russia, according to an article in the Times of Israel. The accusation by Oleg Bolychev, a legislator from the ruling United Russia party at the regional parliament in Kaliningrad, was made in the parliament on February 6, according to the Regnum news agency.